Pity the poor Outlook user who also uses Gmail or Google Calendar. Outlook doesn't talk to Google, and Google doesn't talk to Outlook. That means you have two sets of contacts, two different calendars, two sets of to-dos, and more. There's no simple way to synchronize them. That's bad enough, but if you're a user of an Android phone, there's no way to synchronize your contacts between your phone and Outlook. CompanionLink for Google ($40, 14-day free trial) solves both problems in a snap. 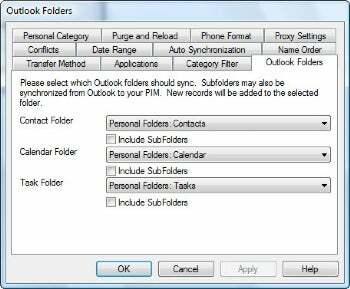 CompanionLink for Google gives you plenty of options about how to synchronize between Outlook and various Google services. This desktop app synchronizes your contacts, calendars, to-dos, and more between Outlook and Google, and does it with ease. Give it your Google log-in information, tell it how you want synchronization performed (both ways or just one-way in either direction), and let CompanionLink for Google do its work. The first time it synchronizes it may take ten minutes or more if you have a lot of contacts, but after that, synchronization happens much more quickly. Android phone owners who use Outlook on their PCs will welcome CompanionLink for Google, because it solves a nagging problem: There is no way to directly synchronize Outlook and an Android phone. With CompanionLink, they can use Google as an intermediary. Sync data between Outlook and Google with this software, and then use an Android phone's normal capabilities to sync to Google--that way, Outlook information gets shuttled back and forth between the PC and the Android phone. The information goes in both directions, because information synched back to Google from Android can then be synched to Outlook. It's a little kludgey, but it's better than being frozen out of syncing Outlook to an Android phone at all. You get a great deal of control over customizing how to synchronize with CompanionLink for Google. You can schedule synchronization, or instead tell it to synchronize each time, for example. You can filter out categories, choose a date range for calendar synchronization, determine whether to alphabetize contacts by first or last name, and much more. Anyone who uses Gmail and Google Calendar and Outlook and has been frustrated by their inability to synchronize will want to take a look at this program.